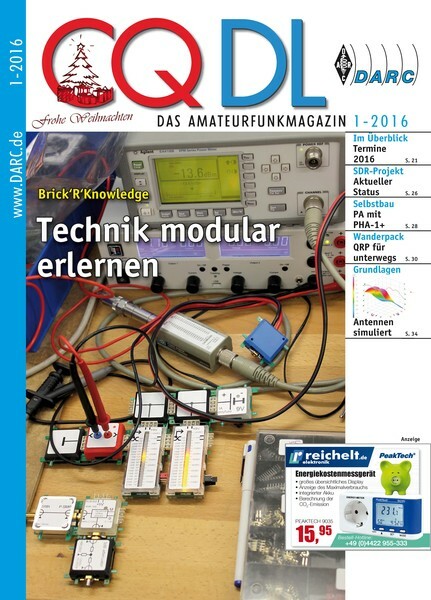 The January issue of amateur radio magazine CQ DL appears today. In this issue the Brick’R’Knowledge system is presented. Under the motto “Learning how modular” shows this issue the full range of possibilities of learning experimentation and development system: from the construction of a small Rx mixer stage to the construction of a network analyzer. The current status of the planned network of SDR DARC reported Helmut Göbkes, DB1CC. This issue covers the receiver parts and the HF multiplexers, which enable the R2T2 many operating possibilities. 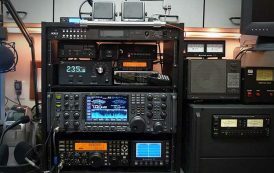 In multiuser mode, the SDR network is able to equip up to eight users with a complete independent “transceiver”. Matthias Hornsteiner, DG4MHM, in this three-part article provides an extensive insight into the antenna simulation with the software MMANA. To kick off the series, he reports on the history of NECCodes and its variants. He also introduces the Momententmethode and goes with the Faltdipolsimulation into practice. Also you can find in the new CQ DL, among other things, a report by the General Assembly of the DARC from 14 to 15 November in Baunatal and information about the new electronic insurance for members and OCs and the new fee schedule for CQ DL posts. Where in the world is your antenna taking you today? How good is the FT 817 ‘s MH-31 stock standard microphone?